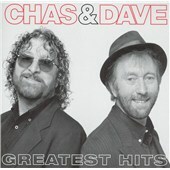 Greatest hits collection from one of Britain's most enduring pop acts Chas & Dave. As unmistakeably cockney as Jellied Eels and Pearly Kings & Queens, their music has resisted trends for over four decades, taking in everything from bar room blues and classic rock & roll along the way. Includes the singles 'Rabbit' and 'Gertcha'.